Yes, yes. I’m late blogging about this, I know. But ever since I saw this wallet a few months ago, I’ve been enamored by it’s design. 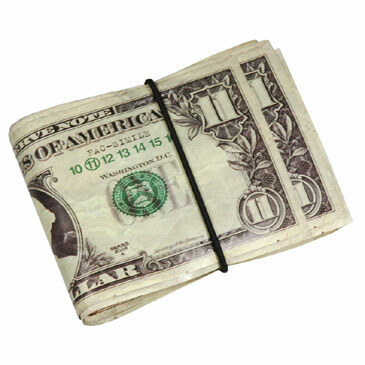 It’s from Maison Martin Margiela’s Line 11 (accesories) and is a bi-fold leather wallet disguised as a wad of cash. Too bad they’re all sold out (and at a hefty $395 price point I might add). More pics after the fold.